As the current ecological crises and different forms of oppression, discrimination and injustice around the globe demonstrate, the questions of the environment and the people, as well as of social and environmental justice, are not isolated from one another. These concerns and connections come to the fore in both implicit and explicit ways in the work of artists, activists and academics working with the issues of ecology, on the one hand, and decolonisation, on the other. The two-day workshop “Eco/Decolonial Arts: Open-ended Poetic/Philosophical Forays” aims to develop transversal dialogues between various ways of engagement with both ecocritical/ecological and decolonial perspectives. The slash [“/”] in the name of the workshop (“Eco/Decolonial”) refers to feminist scholar Karen Barad’s (2014) concept of “cutting together apart” that points to the necessary entanglement of: nature and culture; the environment and the human; epistemic, symbolic and physical violence towards nonhumans and humans alike; and finally, the call for environmental and social justice. We invite contributions in diverse experimental – and not necessarily academic – formats (length: approx. 30 min.). In this way, we hope to open up a space for postconventional, transdisciplinary modes of knowledge production and mobilise different forms of sensing and thinking with each other. The workshop is organised by: Intersectionality Research Project, The Eco- and Bioart Research Network, and GEXcel International Collegium for Advanced Transdisciplinary Gender Studies. Nina Lykke, Moving beyond the imperceptible? With a starting point in natural dyeing, Amanda examines various types of fermentation processes, cultures of microorganisms and the manner in which her body affects and participates, over time. What drives her work forward is a fascination and curiosity how we all, non-human and human bodies are intertwined and living in symbiosis with each other. How do we communicate with the non-human bodies that are playing such an important roll for our existence? In her artistic research Amanda is working between performance, sculptures, sound and video trying to visualize what we are a part of but can’t see or hear. During the workshop Amanda will talk about her research with a symbiotic colony of bacteria and yeast, both visually and conceptually. Amanda Selinder (b. 1990 in småland) is a visual artist currently based in Stockholm, Sweden. She has a bachelor in fiber and fine arts from the Academy of craft and design in Gothenburg and School of visual arts in New York. Amanda is between the 1st of April and 1st of October 2017 one of the grant holders at The Swedish arts Grants committee’s International program for visual and applied artists. She has exhibited both in Sweden and internationally (e.g. SVA Gramarcy Gallery & SVA Chelsea Gallery in New York, Largo das artes Gallery in Rio de Janeiro, Officinet in Copenhagen). Amanda also has classes/workshops in experimental natural dyeing. Photographs are never neutral. Photographs and post cards made from images of the Levant in 1900s, however, have been treated as objective documents of memory (Wehbe 2015). Behdad and others argue, in separate cases, that such photos are charged with subjectivity and often with the objective of a colonial project. These representations became a way to collect, sort and categorize people and landscapes of the “Orient”. This exploration will explore the ways “landscapes are power materialized” (Mitchell, 2016) through a previously unpublished photo collection of the path of the Adonis Valley, Lebanon (circa early 20th century). A work-in-progress research, I am curious about how nature-cultures are made and reproduced? Who is permitted and who is prohibited? What is erased and what is revealed? I will begin with framing the way Lebanon has been researched, known and categorized. I then offer an approach to eco/decolonial dialectics through visual culture. Anne Gough is a PhD Candidate with the Environmental Humanities Laboratory at KTH Royal Institute of Technology in Stockholm Sweden. She collaborates under the theme Xenophobic Natures. Anne is currently completing fieldwork in Lebanon where she has been affiliated with the Department of Landscape Design and Ecosystem Management at the American University of Beirut. Lying beyond the straight of Magellan and stretching towards Antarctica, the archipelago of Tierra del Fuego has been deemed a windy outpost of the earth. Though remote, the site’s geo-history is fraught with venture capitalism schemes, forced migrations, extreme tourism, and extraordinary environmental remediation plans, with none of these interventions paying any responsible measure of tribute to the resilience of its original inhabitants. Ecological change at the hands of humans is strikingly evident in Tierra del Fuego, so too human transformation at the mercy of geography. This mirroring between the human and the ecological inspired the foundation of Ensayos, a program of experimental inquiries into the ecopolitics of Tierra del Fuego, and drives the quest to create an ecofeminist webseries that portrays the deeply intertwined, cosmopolitan nature of this remote place. As the founder and curator of Ensayos I ask: What curatorial process can assure the making of a televisual portrayal of Tierra del Fuego that sustains the distinctive and environmentally-minded social space which prompts viewers to question the ethics of living and dying in times of climate change? I explore the methodologies of experimental ethnography as a way to nourish a multi-realist approach to the ecological issues of Tierra del Fuego and use fictocritical techniques to enact a dialogical practice of ecological address that serves as basis for the filmic exercise. Camila Marambio is the founder and director of Ensayos, a nomadic interdisciplinary research program that considers Tierra del Fuego the center of the world (https://ensayostierradelfuego.net/). She received an M.A. in Modern Art: Critical Studies from Columbia University and a Master of Experiments in Art and Politics from Science Po in Paris; attended the Curatorial Programme at de Appel Arts Center in Amsterdam; and has been curator-in-residence at the Kadist Art Foundation in Paris and Gertrude Contemporary in Australia. She was Chief curator of Matucana 100 in Santiago from 2008-2010, previously Assistant Curator at Exit Art in New York City, and currently resides in Melbourne, Australia where she is a PhD Candidate in Curatorial Practice. Concerns with the planetary, for instance the anthropogenic impact on our climate, biosphere and geological layers of the earth has developed as various forms of environmental research, ie ecological or environmental humanities. Since the foundational works of Carson, Merchant, Plumwood and Haraway feminist agendas on toxic bodily incursions, more-than-human ethics and co-existence have been part of forging these fields. In recent times, this type of scholarship have also increasingly welcomed longstanding indigenous scholarship on relationships with nature and more postconventional creative practices and collaborations. In my talk, I will present vignettes of current creativity and ongoing research in these fields and muse on the need to explore previous and emerging feminist approaches in the research areas of environmental or ecological humanities. To meet up with the affected more-than-human constituencies, forging what I call a thousand tiny anthropocenes, we need more-than-human humanities and feminist postnatural concepts as thinking technologies. As it is becoming more and more apparent to us how we are part of nature and nature part of us, we need to encompass, I argue, more-than-human and postnatural sensitivities and various participatory approaches for developing a thousand tiny forms of feminist posthumanities too. Cecilia Åsberg is Professor of Gender, nature, culture at Tema Genus, Linköping University, working in the feminist intersections of experimental humanities across the arts and sciences, in medical, digital and environmental humanities. She is Pi and Founding Program Director The Seed Box – An Environmental Humanities Collaboratory; Founding Director The Posthumanities Hub, and Co-Director GEXcel International Collegium for Advanced Transdisciplinary Gender Studies. In “Llamando el mago” the artists collective Diasporas Críticas (Barcelona, Spain, and Guayaquíl, Ecuador) enunciate, and share recordings of, multiple voices, times and spaces. In this re/de-suturing of information, they suggest not so much a cartography, or a story, but a series of sonic events held in conversation, a symphonic composition. These sound events, and the identities of the speakers and singers, engage us in an historical inquiry into their conditions of production. These conditions of production, as they emerge through the sounds themselves, situate us. Also situating us is Damali Abrams, who, in her reading performances, sews together excerpts. These are excerpts of texts that she feels need to be read aloud – to be heard. Their silence is broken by their radiofonización, to use Diasporas Críticas’ term. Further, the silencing of texts, in the work of Clara Balaguer, is interrupted by their collaborative translation, a practice of giving life in collaborative readings. These works and practices, along with others, constitute the project Migratory Times/Tiempos Migratorios. A translocal series of events, exhibitions, and pedagogical interventions that center the work of artists in relation to understanding the conditions of migration and displacement in multiple global sites. In this talk, these projects will be shared as emergent practices of decolonial feminist knowledge sharing in migratory times. Dalida María Benfield, Ph.D., is a decolonial feminist artist and researcher focused on (re)activating new, old, and liminal forms of collective research and knowledge sharing. Her projects cross the boundaries of disciplines, cultural contexts, and communication channels, providing opportunities for diverse publics to ask questions in museums, galleries, schools, community organizations, public libraries, and online. Her current projects include “Migratory Times,” a year-long network of researchers and artists and series of events discussing global migration; “The Museum of Random Memory,” which invites participants to consider the ethics of big data collection as they contribute a random memory; and “24 HOUR SOCIAL STUDIES,” an open access platform for civic education. She is Co-Chair of the Visual Arts Program at the Vermont College of Fine Arts, U.S.A.; Visiting Professor in the futuremaking.space at Aarhus University, Denmark; and former Faculty Associate and Fellow at the Berkman Klein Center for Internet and Society at Harvard University, and Professor and Chair of Art Education at the School of the Art Institute of Chicago. She is also the founder of collective impossible, llc, an independent research organization, cultural center, and publisher. She holds a MFA from the School of the Art Institute of Chicago and a Ph.D. from the University of California-Berkeley in Comparative Ethnic Studies with Designated Emphasis in Women, Gender, and Sexuality Studies. – turning over and over the grounds of Slugs and. The video based work Momentary Seizures that I developed in 2007, triggered a process evolving a series of works re-turning over and over to some of the inquiries, concerns and matters involved – becoming with slugs. The most recent is an artistic experiment in drawing together with slugs, published as a full spread in the local paper ’Jämtlandsbladet’ this week. My presentation will discuss the current and possible futures of this project and process, and how they explore possibilities of opening new modes of thinking, performing and materializing. Many insights of various Western/Northern eco-critical and new materialist movements so fashionable these days, for many centuries have been an integral part of the indigenous and colonized (and therefore excluded from the modern/colonial knowledge production) people’s cosmologies and ethics. As a decolonial subject, I am not particularly thrilled with the agenda of the modern/colonial lagging behind scholarship and art production, which have finally “discovered”/appropriated the critical take on the human/world/nature complex, basically after the points of defuturing have been already passed. Yet it is crucial for me to attempt to work with decolonial aesthesis, radical return, correlationism, the ancestral communal body and embodied memories, toward a re-existence. All of these intuitions, anxieties and ideas are much better expressed through art than through any unavoidably logocentric scholarly discourse. Therefore contrary to what I usually have to do to remain a scholar, this time I will abstract from the academic analysis and try to speculate on why I write fiction and how deficiencies of scholarly discourses beget artistic decolonial metaphors. Madina Tlostanova is a decolonial thinker and writer. She is professor of postcolonial feminism at the Department of Thematic Studies (Gender studies) at LiU. Tlostanova focuses on decolonial thought/postcolonial theory, postsocialist studies, non-Western feminisms, contemporary art and fiction. She was a DAAD visiting professor at the University of Bremen (Germany, 2006, 2011), an international researcher at Duke University (USA, 2007), a visiting scholar at Linköping University (2013) and Södertorn University (Sweden, 2014). Tlostanova has authored nine scholarly books and over 260 articles, including Gender Epistemologies and Eurasian Borderlands (Palgrave Macmillan, 2010), Learning to Unlearn: Decolonial Reflection from Eurasia and the Americas (co-authored with Walter Mignolo, Ohio State University Press, 2012) and the most recent Postcolonialism and Postsocialism in Fiction and Art: Resistance and Re-existence (Palgrave Macmillan, 2017). She has also authored two novels: In Your World I Am a Stranger (Moscow, URSS, 2006) and Zalumma Agra (Moscow, Sputnik +, 2011). Lichens are holobionts consisting of fungi and algae or cyanobacteria (and possibly other microorganisms), living in a symbiotic relationship. They are resilient “pioneer organisms” that are among the first species to grow in previously uninhabited areas, able to survive in extreme temperatures and harsh environments. In the Nordic context, they are crucial players in the biodiversity of especially boreal and arctic region, where they significantly contribute to biomass and are a primary source of food for reindeer. Simultaneously, lichens are sensitive to air pollution and climate changes, which render them critical in the study of human-induced changes in ecosystems. 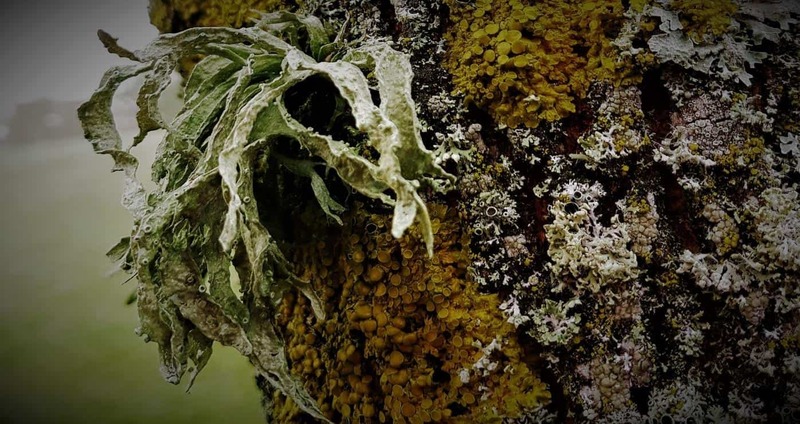 In this paper (forming part of the very early stages of a transdisciplinary project focused on ecologies of death in the context of contemporary environmental crises), I take lichens as both a figuration and a case study. By thinking with lichens inhabiting the Nordic region, I will try to explore the ethico-ontological questions of living and dying in the Anthropocene. Marietta Radomska is a Postdoc at Tema Genus, Linköping University, working within the Gender, Nature, Culture research strand and The Posthumanities Hub. She is a holder of The Swedish Research Council International Postdoc Grant and her current research focuses on ecologies of death in the context of contemporary art. Radomska is the founder of The Eco- and Bioart Research Network, a founding member of Queer Death Studies Network and co-coordinator of Queer Death Studies GEXcel International Collegium research strand. She is the author of Uncontainable Life: A Biophilosophy of Bioart (2016). In Deleuzian philosophy, death is theorized as a becoming-imperceptible. In my poetic and autophenomenographic reflections on death, dying and mourning, following my long-term partner’s death from cancer some years ago, I have been in dialogue with Deleuzian frameworks as well as with neovitalist feminist materialist philosophies (Braidotti 2006, Bennett 2010). The above title is inspired by these dialogues, and this will also be my point of departure in the presentation. However, prompted by desires to move beyond the imperceptible, I have also taken other paths, one relating to indigenous cosmologies, another to queer ecologies,This is very much work-in-progress. However, I would like to share some poetic texts and thoughts on this with you and hope to be pushed further by the discussions in the workshop. Nina Lykke, Professor Em, Gender Studies, Linköping University, Sweden, is co-director of GEXcel International Collegium for Advanced Transdisciplinary Gender Studies as well as scientific leader of the Swedish-International Research School, InterGender. She has published extensively within the areas of feminist theory, intersectionality studies, feminist cultural studies, and feminist technoscience studies, including Between Monsters, Goddesses and Cyborgs (1996, with Rosi Braidotti), Cosmodolphins (2000, with Mette Bryld), Bits of Life (2008, with Anneke Smelik), Feminist Studies (2010), and Writing Academic Texts Differently (2014), and Assisted Reproduction Across Borders (2016, with Merete Lie). Her current research is a queerfeminist, autophenomenographic, and poetic exploration of cancer cultures, death, dying and mourning, cf. her recent essay: “Queer Widowhood”. Lambda Nordica. 2015: 4: 85-111. I will discuss my PhD project, Watery Connections. Care-fully knowing with fish and tears, in which I aim to explore the watery embodiments of fish and tears, and to use these as a starting point for an alternative knowledge production practice that starts from care and connection rather than distance and separation. I explore bioart as a strategy for doing biology research differently, as it allows me to ask open-ended questions, use creative methods and unconventional ways of relating to the research. In this way, I want to work towards research practices that work with rather than on what or whom the research is about. Vera Weetzel is a PhD Candidate at Tema Genus, in the area of Gender, Nature, Culture. With a background in biology, their interests include gender, embodiment, science and technology and practices of knowledge production. Their current project is tentatively titled Watery Connections. Care-fully knowing with fish and tears.